The Kawasaki KX™ lineup has an unmatched history of success and has paved the path to championships for the motocross heroes of today, while continuing to serve as the ultimate tool for the future stars of tomorrow. The KX family is the most dominant motocross and supercross brand of motorcycle available today, led by its flagship model the KX™450. The all-new 2019 KX450 weighs in at 232.4 lbs without fuel while boasting a powerful engine, nimble handling, and technologically advanced features that are derived directly from the motorcycles used by Kawasaki’s factory race team. All-new features for 2019 include a new lightweight, more powerful engine, new slimmer aluminum frame, new Showa coil spring front forks with A-KIT technology, new hydraulic clutch and new electric start system. The KX450 motorcycle is the bike that builds champions. Kawasaki racers also receive the benefit of the industry-leading Team Green™ support network that can be found trackside at events across the nation. The Kawasaki KX450 is notorious for asserting its championship proven dominance across the world. The engine of the KX450 has always been strong, and the lightweight engine package is even stronger in 2019 thanks to the input from the factory race team. The four-stroke, single cylinder, DOHC, water-cooled 449 cc engine has increased peak power and a flatter torque curve that makes it easier to get on the gas sooner. New for 2019, the KX450 becomes Kawasaki’s first motocross bike with an electric start, which is activated by the push of a button located on the handlebar near the right grip making starting easy and convenient. 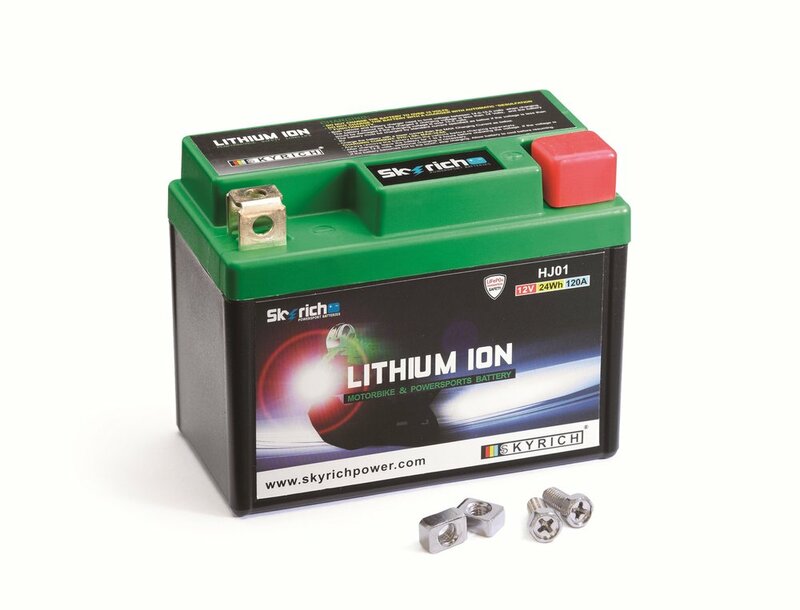 A lightweight, compact Li-ion battery helps keep weight down, as does an automatic centrifugal decompression system fitted to the exhaust cam, which lifts one exhaust valve to facilitate starting. In addition to an electric start, the KX450 also becomes Kawasaki’s first motocross bike equipped with a hydraulic clutch. The new clutch offers a more direct feel and an easier pull for lighter lever action, helping to reduce fatigue while on the racetrack. The hydraulic clutch is designed to provide a more consistent feeling through minimal change in clutch play as the clutch heats up during heavy use. Kawasaki brought top-level road racing technology to the KX450 valve train, using designs from Kawasaki World Superbike engineers. It uses finger-follower valve actuation, enabling larger-diameter valves and more aggressive cam profiles. Thanks to the finger-follower valve actuation, the rev-limit has been raised, contributing to increased high-rpm performance. The change to finger-follower valve actuation reduces the valve train mass and friction compared to a tappet-style valve actuation. A DLC coating on the finger followers helps protect against wear. Complementing more aggressive cams, larger 40 mm intake valves and 33 mm exhaust valves with increased lift help air flow and contribute to increased power. Valves are formed from lightweight titanium, reducing reciprocating weight and offering high-rpm reliability. Chromium steel valve spring retainers and a highly durable chromium nitride coating on the camshafts improve reliability at high-rpm. The lightweight bridged-box piston uses the same design as the Monster Energy® Kawasaki race team’s factory race bikes, contributing to strong performance throughout the entire rpm range. The revised piston design reduces weight and optimizes strength for durability. The cylinder is offset 8.5 mm forward to reduce mechanical loss through friction from the piston movement, enabling more efficient power generation. A special coating used on the intake port cores during the casting process make ports ultra-smooth, which increases efficiency and performance throughout the rpm range. The new header pipe length has been increased by 105 mm to match the updated engine package and improves low-end power. A resonator chamber fitted to the exhaust system header effectively increases exhaust pipe length and helps reduce the decibel sound level. A new thinner air cleaner element improves air flow, contributing to increased performance at all rpm. New downdraft-style intake routing allows an even straighter approach for intake air into the cylinder, improving cylinder-filling efficiency and contributing to increased engine power. The new 44 mm throttle body is now larger and features reversed orientation of the butterfly for better fuel atomization from the top mounted injector. A new fine atomizing, 12-hole injector now sprays 75 micron droplets and flows over 20 percent more fuel to contribute to increased power, smooth power delivery and superb engine response at partial throttle. A close-ratio five-speed transmission features lightweight gears and shafts to keep weight down, yet retain strength, while contributing to the motorcycle’s winning performance. Revisions have been made to the shift drum and shift fork, resulting in a weight savings. The engine cases, which feature a scavenger pump on the right case, have been constructed of extremely light materials and are designed to meet the highest standards of durability. A change from needle bearings to plain bearings for the connecting rod big-end reduces mechanical loss, contributing to overall performance. The new lightweight fuel pump is located in the plastic fuel tank and has a revised design that is more compact, enabling a flatter design for the top of the tank. Contributing to the race-winning engine characteristics, the digital fuel injection system of the KX450 features a coupler package that has set the industry standard. Each KX450 motorcycle comes standard with three different couplers, easily allowing riders to select pre-programmed fuel injection and ignition mapping to suit their riding style or track conditions. The four-pin DFI® couplers select maps that are designed for standard, hard or soft terrain settings. Changing the engine map is as simple as connecting the coupler cap of choice. For riders looking to fine tune their ECU settings, the KX FI Calibration Kit (Handheld) is offered as a Kawasaki Genuine Accessory, and provides access to the fully programmable ECU. The handheld device eliminates the need for a trackside laptop and gives riders the ability to create custom maps for precise adjustment of fuel and ignition settings. The user-friendly device can store up to seven preset maps and is PC-compatible. For 2019, maps can now be changed while the engine is running by changing couplers, eliminating the need to shut off the engine. The launch control system of the KX450 motorcycle is a favorite for riders who are focused on getting to the first turn ahead of their competition. The push-button activation retards ignition timing in first and second gear, helping maximize traction and put the bike’s potent power to the ground. Once the rider shifts into third gear, normal ignition mapping immediately resumes and full power is restored. Kawasaki’s engineering team has worked closely with the factory racing team to develop an industry-leading slim aluminum perimeter frame that is capable of providing precise cornering through excellent front-end feel and the ultimate agility at high speeds. As an evolution of the current design, the new frame boasts increased overall rigidity balance. The frame’s lightweight construction is composed of forged, extruded and cast parts, while the engine is used as a stressed member and adds to the frames rigidity balance. The overall rigidity balance has been increased through a new steering head area with optimized rigidity, main frame rails with revised cross-section, and a revised line for the swingarm brackets. Lower frame rails have been widened and also contribute to the bikes overall rigidity balance. Forged chain adjusters are also equipped with a self-locking rear axle nut. The axle nut holds 80 lb-ft torque without the need of a cotter pin, simplifying maintenance at the track. The KX450 motorcycle also features a new lightweight swingarm that has revised rigidity and was designed to match the frame, and contributes to increased traction at the rear wheel. The alloy swingarm is constructed of a cast front section and twin tapered hydro-formed spars in a raw aluminum finish. With center of gravity and balanced handling in mind, engineers carefully placed the dimension of the swingarm pivot, output sprocket, and rear axle locations, so that the rear tire would drive the bike forward. For 2019, the KX450 motorcycle is equipped with new high-performance Showa 49 mm coil spring front forks with A-KIT technology, which feature large diameter inner tubes that are the same size as those found on Kawasaki’s factory racing team’s bikes and enable the use of large damping pistons for smooth action and firm damping. A hard titanium coating on the outer surface of the fork inner tubes helps prevent wear abrasion. The increased surface hardness of the dark navy blue coating also helps to prevent scratches and damage to the tubes. As a result of the surface remaining smoother for a longer period, the reduction of friction creates a smoother and more enjoyable ride. A Showa “Dimplush™” finish process plus Kashima Coat creates a micro-dimpled surface on the inner walls of the outer fork tubes to improve oil retention, and helps prevent wear abrasion on the inside of the tubes, ensuring the sliding surfaces remain smooth for a long time, while the outside is protected against corrosion. The A-KIT technology used in valving, surface treatments and finishes, contributes to noticeably smoother suspension action at the initial part of the stroke and a better ride feel. Incredibly precise personalized settings can be found with 16-position compression and 16-position rebound adjustments. On the rear suspension, a new Kawasaki Uni-Trak® linkage system is designed to work in conjunction with the new shock, new aluminum frame and new swingarm. The linkage, which is mounted below the swingarm, allows for a longer rear suspension stroke and allows more precise rear suspension tuning. The linkage ratios have been revised to help keep the rear wheel planted for increased traction. The Showa shock layout has been shifted 5 mm to the right to allow room for the new downdraft-style engine intake and increases rear wheel traction. The new Showa Compact Design rear shock has A-KIT technology with bigger diameter compression adjuster, improving damping on the high frequency movements found on today’s motocross tracks. Dual compression adjustability can be found on the rear shock, allowing high-speed and low-speed damping to be adjusted separately. The fully adjustable shock allows for settings to be personalized for riding preference and conditions. An oversized 270 mm, petal-shaped front brake rotor from the renowned manufacturer, Braking, is fitted to keep up with the powerful engine of the KX450 and help riders brake harder and later than the competition. The front brake master cylinder has been revised and offers better initial control, while contributing to overall braking performance and consistency. The rear is equipped with a new larger-diameter 250 mm petal-shaped Braking® rotor that matches the large front disc and contributes to stronger stopping power. The rear brake master cylinder and hose have been revised to reduce weight. Derived from Kawasaki’s factory racing efforts, front-end traction has been improved thanks to a new larger-diameter 22 mm front axle shaft. Dunlop MX3S tires contribute to increased front and rear traction. Kawasaki continues its unmatched commitment towards providing riders with class-leading ERGO-FIT™ comfort thanks to its adjustable handlebar mounting system and footpegs to fit a variety of riders and riding styles. The handlebars feature four-way adjustable mounts. The multi-position handlebars offer two mounting holes with 35 mm of adjustability, and the 180-degree offset clamps boast four individual settings to suit different size riders. The new lighter footpegs are 5 mm wider and positioned 3 mm further rearward, offering excellent grip and making it easier to weight the pegs. The footpegs feature dual-position mounting points, with a lower position that reduces the standard setting by an additional 5 mm. The lower position effectively lowers the center of gravity when standing, and reduces knee angle when taller riders are seated. Complementing its championship proven technology, the 2019 KX450 motorcycle features aggressive styling along with in-mold graphics on the radiator shrouds that result in an ultra-smooth surface and racy look needed to finish at the top of its class. The sleek bodywork has been molded to match the V-mounted radiators and narrow chassis design. The flatter fuel tank design allows the tip of the seat to be 20 mm lower and gives the rider greater freedom of movement when changing riding position, and facilitates sitting farther forward. Each piece of bodywork has been designed to help facilitate rider movement with long, smooth surfaces that make it easy to slide back and forth. New single piece shrouds are slimmer where they come to contact with the rider’s legs and are easier to hold on to. Seams between the shrouds, seat, and side covers are nearly flush in order to increase bike control as well as moving around on the motorcycle. Adding to the distinctive Kawasaki factory race team look is a green oil cap, generator cover plugs, green alumite suspension adjusters, and black alumite wheels. Engine covers were designed to be smooth in order to not impede rider movement. The 2019 Kawasaki KX450 motorcycle can easily be made to suit a large range of riders thanks to its flat seat design, adjustable handlebar and footpegs and adjustable suspension components. This perfectly complements the wide range of damping settings as well as the DFI couplers and optional handheld KX FI Calibration Kit, allowing the rider to find the ideal engine characteristics to suit a particular track or conditions. While the base settings on the KX450 motorcycle are based on extensive testing and racing, the motorcycle provides a huge range of technology and adjustment to help ensure every rider can experience the incredible ability of this extremely capable motocross bike. Kawasaki Team Green Racing Contingency for 2019 supercross, motocross, and off-road racing are set to be announced and include the all-new KX450. Highlights of the contingency program include increased payouts in off-road racing and more privateer support in both supercross and motocross.